Pfc. James Wallace Joplin, son of Mr. and Mrs. J. O. Joplin, Graham, husband of Maxine Feedy. Entered Army in 1944, trained at Camp Wolters, Texas, Ft. Meade, Md., Camp Maxey, Texas, Ft. Benning, Ga.and Camp Pickett, Va. 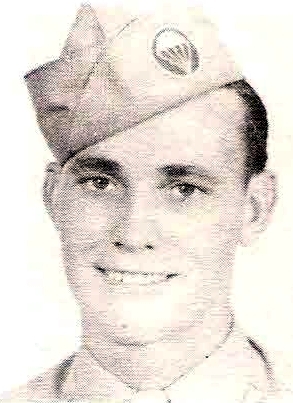 Served in Pacific Theater and Japan.